In June, ACT Chief Minister Andrew Barr announced a new sister city relationship with Wellington – capital of New Zealand and reigning coolest little capital city in the world. 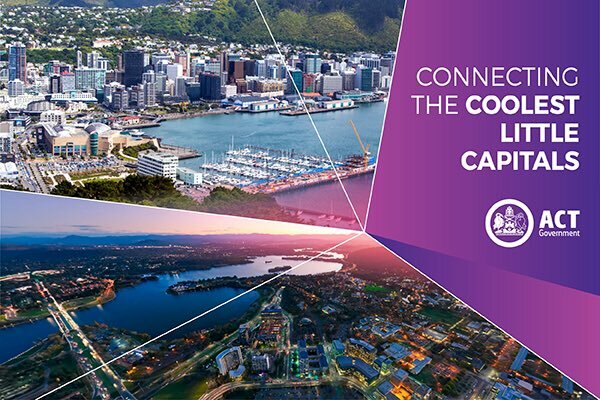 As I’ll be visiting Wellington later this year, I’d love to celebrate the new relationship by taking Capital Yarns on the road and see how the concept works in another little capital. All I need is three items to get started. I’d love to hear from some Wellington locals (Wellingtonians?) with three suggested items for me to weave into a short story set in Wellington. ← Previous Previous post: Stories from you: How would you describe Canberra? Next → Next post: A Wise Kangaroo?